Dog bakery directory free to our customers. Help others locate you. 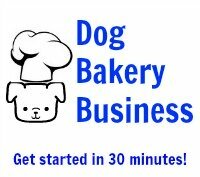 Join our dog bakery directory and place a free listing for your dog treat business. The number of dog bakeries is growing. There are brick-and-mortar businesses, home-based dog treat bakers, and online dog businesses. Some only have a presence on a social media site. 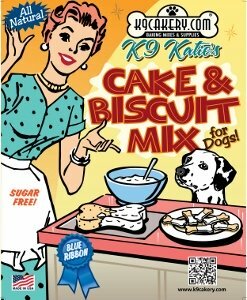 At K9Cakery.com, we are committed to promoting the arts and crafts of baking for dogs. We would like to help you get noticed and promoted. There are so many talented and wonderful folks out there who are committed to improving life for dogs and we applaud you all! You can never be listed in too many places on the internet! It is important to establish an online presence if you want to be found. We want to help you do that. This is especially important if you only have a social media presence, unless you have thousands of friends or followers! In return, we hope that you return the favor. So that we both can help each other, here's our request. Fill out the form at the bottom of the page with the name of your dog treat business, your location, and then tell us about it, including how you use K9Cakery products for the ingredients and/or bakeware. This is a chance at promotion so feel free to include images of your treats and/or, your pets. We get requests from customers who are looking for treats in their geographical region and would love to help refer them to you. If you can ship your pet treats, consider a free listing on www.PetCraftStore.com. You can have your own virtual store and enjoy attention from across the internet. Still thinking about starting your own dog bakery? Grab your spot for an individualized consultation with K9Cakery.com's CEO and get started in this lucrative business today. If you love baking, think about baking for pets. More and more people are becoming pet owners. Pets are part of the family. Pet owners only want to give their furkids the best and healthiest treats with healthy ingredients. You can work in the comfort of your own kitchen. K9Cakery customers: Be included in our dog bakery directory! Just fill out the form below. Include your location and how you use K9Cakery products to create awesome treats!